Here's the left ear before I put the correct screws BACK in. You can see that the countersink was too big, as it was made for a larger screw. 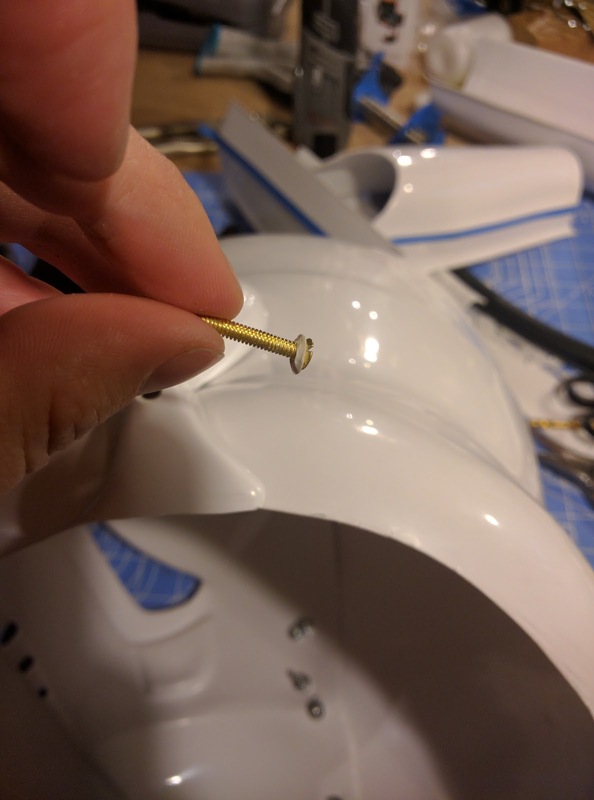 Fortunately, the larger screw was actually correct for centurion level! 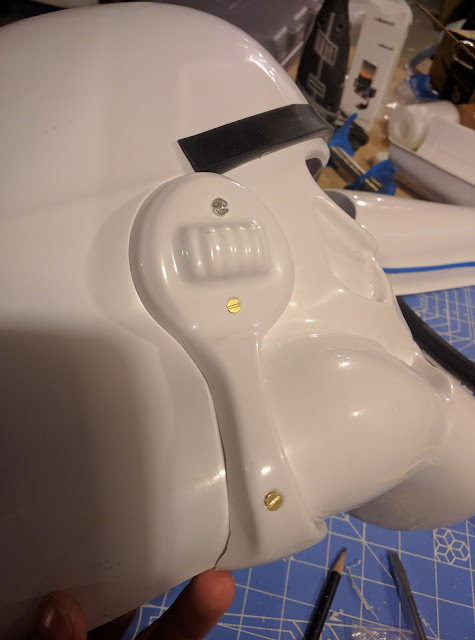 Check out the bottom screw. . . 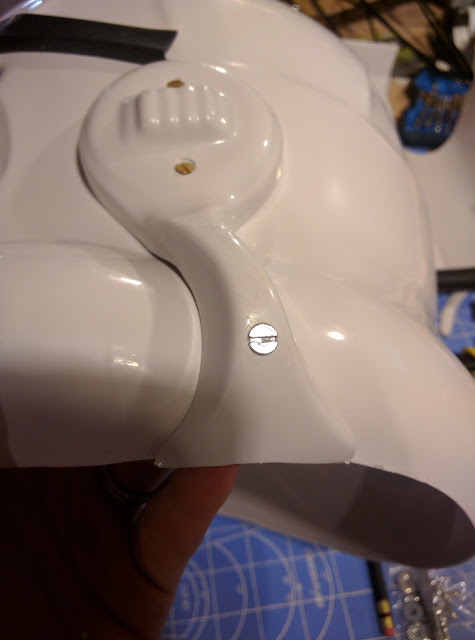 The hole for the bottom screw, due to the countersink, was large enough that I was worried about gapping or pulling through. Below, you can see my little work around. Basically, I made a little piece, almost a washer, that fit inside the hole. This took a while, and turned out to be unnecessary! Finally, the correct screw is in! It actually took me almost an hour to get all the screws re-installed. It took that long the first time, too! 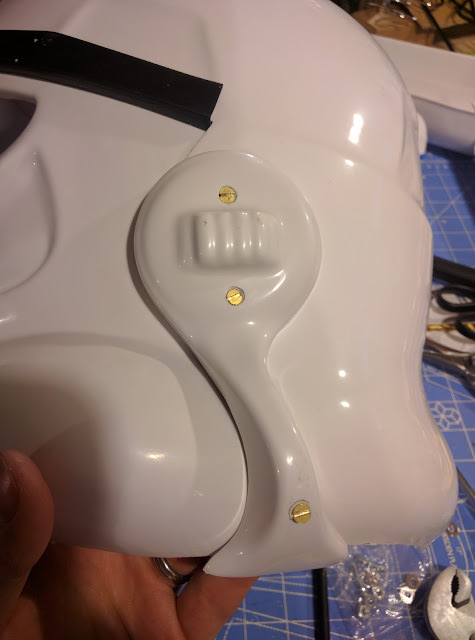 The top and bottom screws are JUST long enough. I imagine I could have trimmed the ears a bit closer in general, but I am CERTAINLY not going back to do any more! What I found I needed to do was hold the nut while turning the screw with a flathead screwdriver. Once the screw threads caught, I'd hold the nut with a wrench. I couldn't get the washer to fit on all of them, though. Oh! 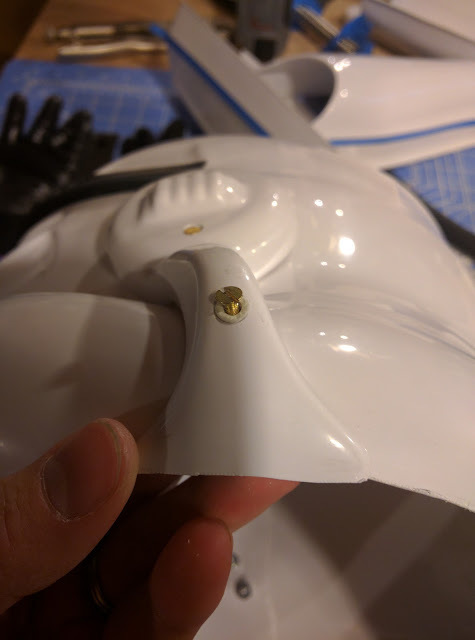 Another problem I ran into was that some of the ear screw holes were too close to the washers of the rivets to use a washer with the screw and nut. Well, the washer couldn't lay flat. So, I actually trimmed some washers so the nuts could be flat! That also helped the screws to lie better on the surface.